A “Breathalyzer” is a specific brand of breath-testing machine, but it has become a generic term for many brands and models – much like “Xerox” and “Kleenex” have become generic terms. In Bryan|Brazos County, the breath machine used in DWI cases after arrest will usually be an Intoxilyzer 5000. In addition, some officers will ask you to blow into a small, handheld device in the field before you are arrested. These are called Portable Breath Test Devices (or PBT). Although they will give a breath-alcohol reading they are generally not admissible in Texas Courts and you are not legally required to take them. There are many problems with the way breath testing devices used in Texas analyze your breath. 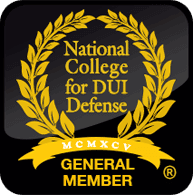 These tests can be very unreliable and susceptible to attack by an experienced Bryan DWI defense lawyer who understands their weaknesses. Mr. Gustitis has written extensively on the weaknesses and attacks criminal defense lawyers should be making upon the breath test machines. One of the major defects in many methods of breath alcohol analysis is the failure to identify ethanol (also referred to as ethyl alcohol) to the exclusion of all other chemical compounds. Scientifically, such methods are non-specific. That is, they are not specific for ethyl alcohol. They will detect other compounds as well – falsely identifying any of them as “alcohol”. Thus a client with other compounds in their breath may have a high “breath-alcohol” reading with little or no actual ethanol in their body. This problem is most noticeable in the use of infrared breath analyzing instruments (the most popular type of breath testing machines used today). The reason for this problem is that most breath testing machines are not designed to detect the molecule of ethyl alcohol (ethanol), but rather only a part of that molecule – the methyl group. In other words, it is the methyl group that is absorbing the infrared light, resulting in the eventual breath-alcohol reading. The machine will “detect” any chemical compound and identify it as “alcohol” if it contains a methyl group within its molecular structure. The breath testing device assumes the methyl group is a part of an ethyl alcohol compound. There are many compounds that contain the methyl group. Acetone and acetaldehyde, for example, can be found in the human breath. In fact, recent studies have found over one hundred chemical compounds can be found in the breath. More important, approximately 70 to 80 percent of these compounds contain methyl groups and the infrared breath testing machine will detect each of these as “ethyl alcohol”. Long-term smokers are more likely to have higher blood-alcohol readings due to a greater amount of acetaldehyde in the lungs. Another problem with breath-alcohol testing is a design defect of the machines. Specifically, the machines assume the individual tested is perfectly average in certain physiological respects. For example, all breath testing machines used in Texas depend on the assumption the ratio between alcohol in the exhaled breath and alcohol in the blood is 1 to 2100. In fact, the machine is designed to produce a reading based on that assumption and the accuracy of the reading is directly tied to the accuracy of the assumption. The actual ratio in any given person can vary from 1:850 to 1:3000, or even more. Thus, a person with a true breath-alcohol level of .07 but a breath-to-blood ratio of 1:1500 would have a .10 reading on an “accurate” breath testing instrument.